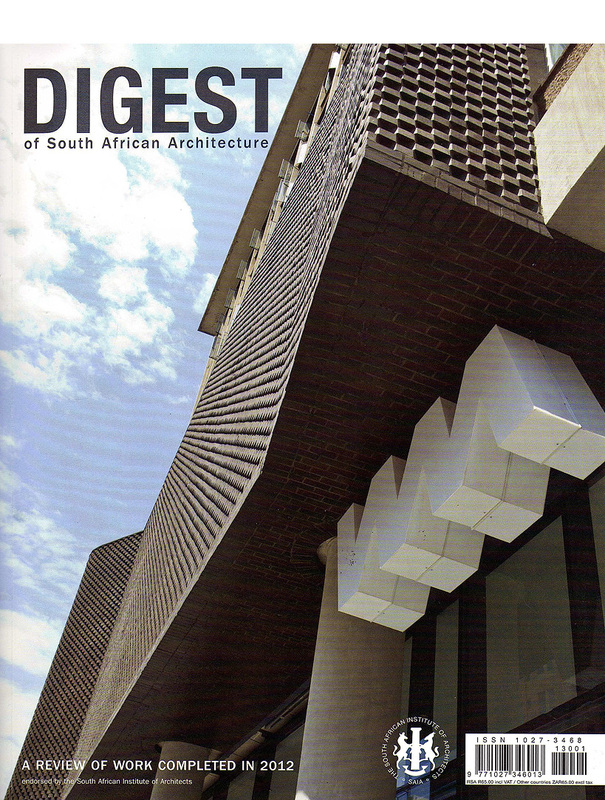 The Digest of South African Architecture, endorsed by the South African Institute of Architects, is a hefty high-quality manual published annually as a showcase and celebration of the best architectural projects that were completed in the previous year. The 2012 Digest showcases 70 of the best architectural projects in South Africa across a range of categories and I’m rather excited that four of the projects I photographed last year are showcased in the publication. On top of that the ‘Gottlieb Group Distribution Warehouse‘ which I photographed (by Elphick Proome Architects) received an official Commendation by the SAIA, the ‘Mbombela Stadium’ (R&L Architects) which I photographed for FIFA received an Award of Merit and the ‘Investec Regional Head Office’ (by Elphick Proome Architects) also received an Award of Excellence. The four projects which were extensively showcased in the Digest included the ‘Unilever Indosa Factory‘ in Durban by Elphick Proome Architects, the ‘Ballito Lifestyle Centre Extension‘ by Evolution Architects, the ‘COP 17 Climate Smart Cape Town Pavilion‘ by ST&AR Architects, and the ‘New Jerusalem Children’s Home‘ by 4D and A Architects. It’s very exciting and rewarding to be involved with so many of South Africa’s leading architectural designers and to have these projects showcased in such a prestigious industry publication.